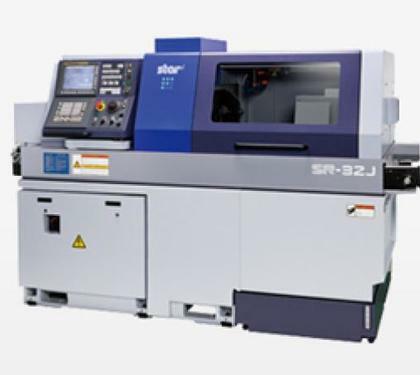 The SR32JII is an excellent balance of operability, productivity and economical efficiency. This new generation design offers power with maximum rigidity and high output drives that are engaged for large diameter components. The machine's high productivity is enhanced by the advanced CNC unit for faster processing and the servo motor for tool selection. The free overlap machining feature optimizes the machining process further reducing cycle time. And with a high rapid feed rate of 24m/min and a power-driven tool capability for the sub-spindle, complex machining productivity is further enhanced with a remarkably shorter process time.